Ok… it looks EXACTLY like that, actually. As you can see you have a few thumbnails representing each of the new games with the number of points needed to unlock each one. Once the game is unlocked the thumbnail will light up and you’ll get a nice little message to let you know to start watching for the new game the next time you play. There’s also an enabled button which lets you turn off the whole set of games if you decide you don’t like this or a future game pack. Speaking of future game packs, if you scroll one page over you’ll see a vote page which will let you help us pick which game pack you want next! The coolest news, however, is something that all of you have been asking us for since we launched back in January. Well, ask and you shall receive! 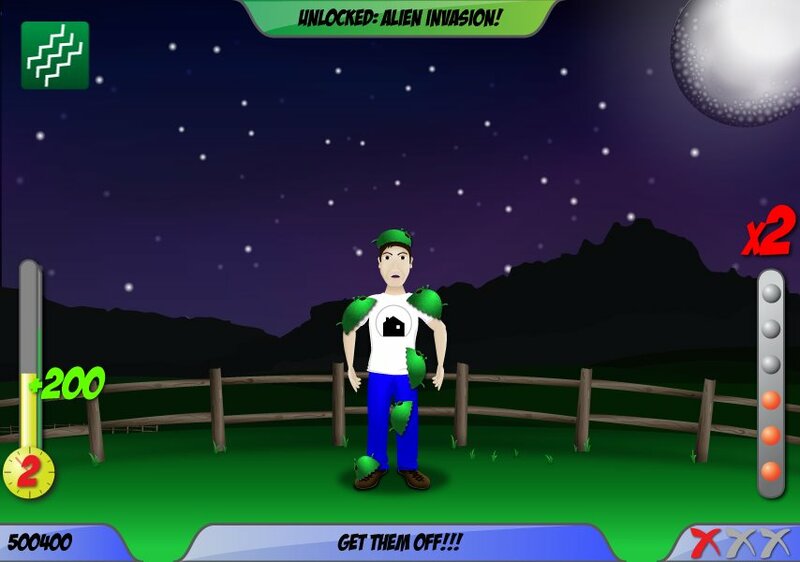 The Alien Invasion Mini-Game Pack is bringing 5 brand spankin’ new games at ya and they are a blast! And the best part of all, this is just the start of many many more games to come! As we’ve told you before, we have a huge list of games ready to go and now that all the framework is set it will be a lot easier to get them out to you. Since the games are already out, I’m not gonna talk about all 5 (Just go and play them! ), but here are a few screenshots of some of our favorites! The “Abduct The Cow” mini-game is definitely my new favorite. The tractor beam sound and the cows face when it starts floating away are pretty hilarious! If you haven’t yet, go play them NOW! Just make sure you come back and finish reading afterwards! The next round of voting is now open so be sure to let us know which game pack you want to see. We’re not getting hundreds of votes here, so every one really does count. Plus, it LITERALLY only takes 2 clicks of your mouse so stop being lazy and just do it! Just like last time, here are the titles for all the games. Oh yeah… we almost forgot to mention: UPSAT IS NOW ON AMAZON! We decided to branch out a bit and try some different app stores and since Amazon is the second largest, we figured we might as well start there. After spending some time researching the store I think it is going to be a really great fit for us. Unlike Google Play, Amazon has a review process which weeds out all the crappy apps that people waste their money on. This generates a carefully curated store where customers can use Amazons powerful recommendation process to find great apps that they will love. In addition, Amazon gives developers carte blanche to price their products as they see fit instead of forcing them to keep the price above $0.99. We can even make the game free for a time to generate an initial user base, something that is great for indie developers like us, and then raise the price back to normal to generate revenue. Google restricts this process and makes it so that once an app is free it must remain free forever. I think you can see the clear benefits with Amazon. PLUS, it’s not like we have to choose one over the other, so we might as well be in as many app stores as possible, right? It would also be a HUGE help to us if you’d go give us a quick review. You don’t need to purchase the game from Amazon if you already have it, but you do need to have an Amazon account and have purchased at least one physical good to leave reviews on any product. Basically, if you’ve ever bought anything from Amazon, EVER, and you’ve played our game before please go tell us what you think because your comments will do wonders to boost us up in the search results! Thanks for taking the time to chat with us and I hope you had a great 4th of July. Check back soon to see updates on the next Mini-Game Pack! 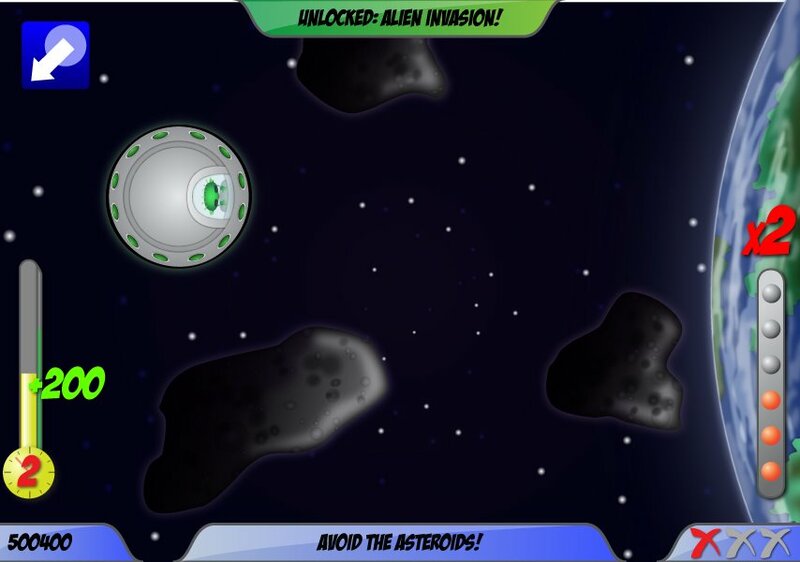 This entry was posted in Art, Design, Featured and tagged Alien Invasion, Amazon, Amazon Appstore, Android, Android App, Android Game Blog, Android Game Development, First Game, Google Play, Indie, Indie Game, UPSAT, Version 2.0. Bookmark the permalink. ← New Games Coming Soon!